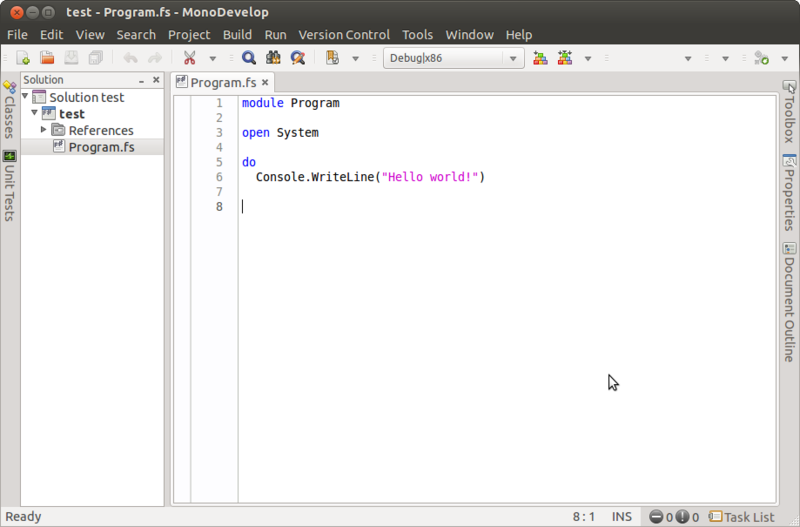 4) Run monodevelop. Go to tools, add-in manager, gallery. Install F# language binding.